Albany, NY: 10/9/99 "Ghost," 12/1/03 "Tweezer"
Phish has a history of throwing down at Times Union Center (née Kickerbocker Arena, later known as the Pepsi Arena): the monstrous "Seven Below" -> "Ghost" from 11/28/09, the famous "You Enjoy Myself" with silent jam from 12/9/95, the culmination of cow funk from Fall Tour ’97. As this series is as much about embracing AUD culture as it is discovering the recesses of Phish’s catalog, I present to you two gems I never see discussed. Fall ’99 follows hot on the heels of a stellar summer tour; instead of the intense and fiery grooves of Summer ’99, the band patiently explores quieter ambient pastures in October ’99. The back half of this "Ghost" jam is a perfect example, as the band jumps into the deep end and propels us through a cloudy haze. To contrast this soft blanket of oozing warmth, I have yang’d the yin with the throaty 12/1/03 "Tweezer." This "Tweezer" has tense, aggressive bark throughout as waves upon waves of psychedelic teeth match Trey’s unabashed and compressor-free tone. Hampton, VA: 1/2/03 "46 Days"
Next stop: The Mothership. We again find the characteristic 2.0 edge and bite throughout; up front there's a classic soupy 2.0 growl. The middle half of this jam is dominated by a shift up to D thanks to Page and Mike, with Fishman lollygagging the beat to fashion a nice cushion for the rest of the band to use as a springboard. The latter part of this "46 Days" features increased tension, like a freight train ready to fly off the rails. Nasvhille, TN: 8/4/15 "Golden Age" > "Light"
Nashville - Music City, USA. A city filled with good food, better music, and amazing people. Ascend Amphitheater is an outdoor venue with lots of direct sound and an intimate atmosphere for fewer than 7,000 fans - a perfect powder keg for jams as tasty as Nasvhille's own hot chicken! Right smack in the heart of one of 3.0’s finest tours, this "Golden Age" has Mike and Fish leading the charge through a "plinko" jam, which winds into a mellower bliss jam. The "Light" that closes out this one-two punch ain’t too shabby either, with some highly nonlinear riffs towards the end. This second set-opening couplet lays the groundwork for the historic sequence that follows. Rosemont / Chicago, IL: 2/20/03 "Simple," "Gotta Jibboo," 11/7/98 "AC/DC Bag"
Hot on the heels of an 18-minute "Simple," this nearly-20 minute offering surprises, to close out set 1. A classic tension-release "Jibboo" gets accented with melodic blues work, before highly rhythmic Fishman fills push Trey to explore the classic hard-edged, uncompressed 2.0 tone, propelled by Page's complex chord work. It's impossible for me to condense what I want to say about the 11/7/98 "AC/DC Bag" into an essay, let alone a mere paragraph. 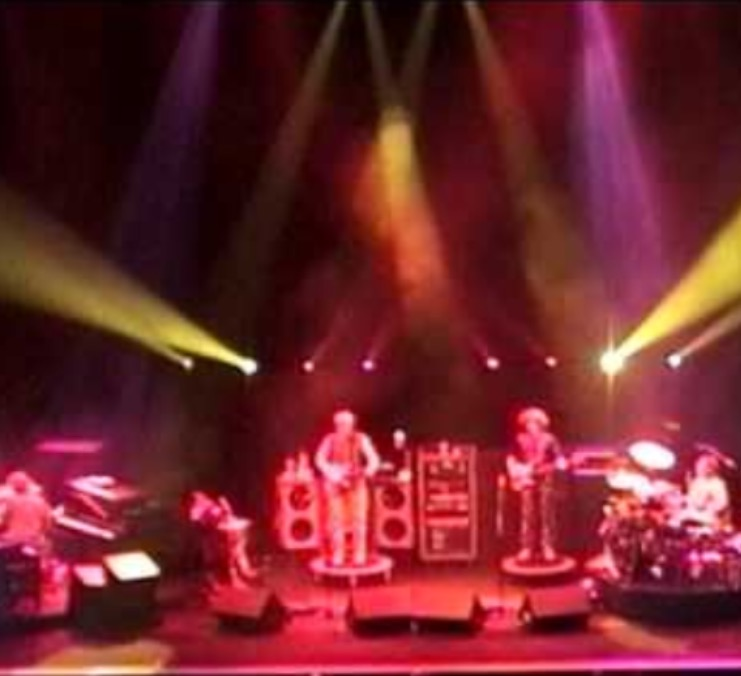 All I'll say is that this jam ranks as my second favorite Phish jam ever – thick groove, gorgeous ambience, intense texture, polyrhythm left and right, spacey loops, synthesizers, monstrous roars of bass that wash up from the ether… this jam has it all. Las Vegas, NV: 10/30/98 "Stash" > "Manteca" > "Tweezer" > "NICU" > "Jam," 10/31/98 "Wolfman’s Brother"
Closing out this archival compilation, we have venerable Bruel & Kjaer ("B&K") 4011 tapes. While everyone knows this run for the Halloween show the next night, this second set treat from 10/30/98 is no slouch either. A massive, non-stop jam weaves in and out of high-energy improvisation for just shy of 40 minutes, finally coming to a close in an ambient soundscape characteristic of Fall ’98. I've also included a similar B&K 4011 recording of the 10/31/98 "Wolfman’s Brother," a legendary jam in its own right that needs little introduction. I don't want to give away the ending before you start, but this specific B&K 4011 tape ranks amongst the best I have ever heard. I hope you have as much fun digging through these tapes as I did when selecting these jams. 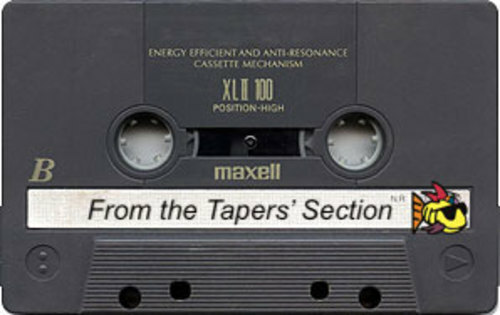 Enjoy Fall Tour, and if you’ll be at the Times Union Center, look for me on the floor running my tape rig! Lastly, a shameless plug. My good friends own a hard cidery in Albany, NY: Nine Pin Cider. While they are not affiliated with Phish.net or the Mockingbird Foundation, I have partnered with them to offer a special giveaway for all of you that want to swing by. While supplies last, if you go to the tasting room on Tuesday, 10/16 or Wednesday, 10/17 and utter the code phrase “crab apple in my shoe mouth” you will receive a free apple. I’ll be hanging out there for a bit pre-show, so come by and say hello! I look forward to downloading all these. Thanks again for another excellent installment! This is excellent! Awesome selections of course, a nice simple method of download, and GREAT sound! Compilations are such a cool way to explore the music, and i always look forward to every Live Bait release. Thank you for picking up the slack (just kidding @shapsio!). Sincere gratitude for all the tapers all these years, we really appreciate your investment of time and money in commitment to the music! Absolutely love this new compilation format. Really hoping to see more FTTS installments like this! Thank you!